Who's still rocking the planted tanks? Here's my 20g long soon to be upgraded to a 40g breeder. I still have a planted tank (not as planted as yours). I don't have any CO2 either. I love planted tanks. Thanks for posting guys. Those tank looks great, I love planted tanks!! 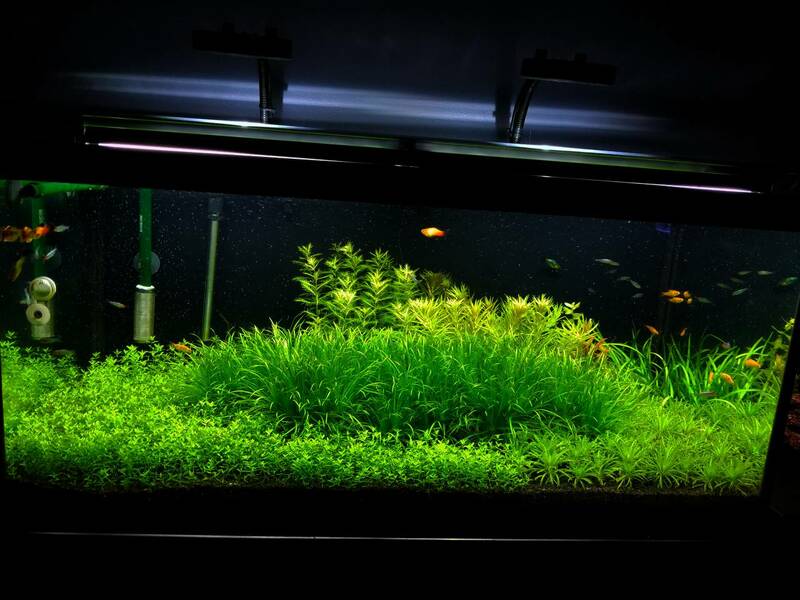 I have done tanks of all kinds and the planted tank has to be my fav, I love bringing nature into my home. I currently have one in the works! 25 gallon to start and keep my hands busy for a while as I wait to upgrade. 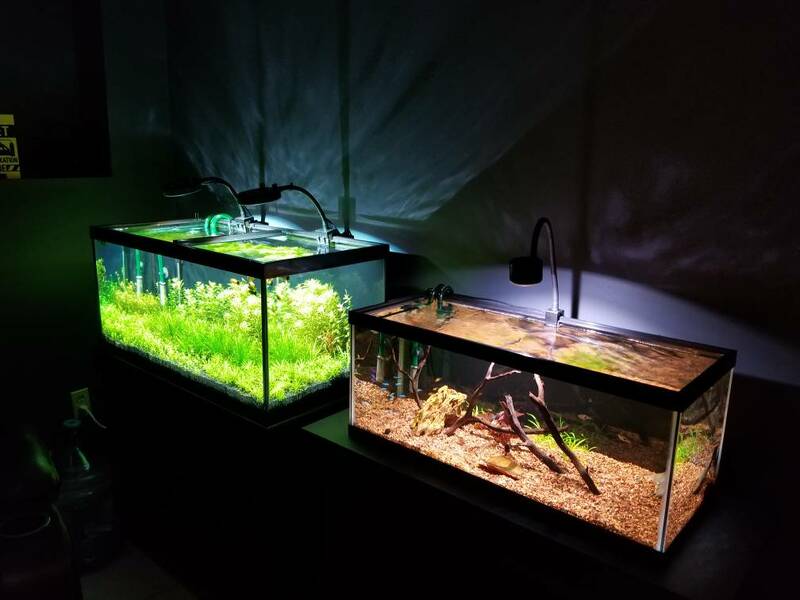 I have been thinking about getting another ADA tank..... I really regret selling the set up I had, so we shall see what 2019 brings! Thanks Jart! I've really been enjoying growing plants again. Looking forward to seeing your tank setup Stacey. The 20g has been converted over to low tech with some Dwarf Sag and a Tiger Lotus. I have the 40g setup and running now. It's high tech but pretty low light. I haven't done much with the scape yet. Just growing it out till I decide where I'm going with it. Jart, have you considered keeping shrimp? They would absolutely love and thrive in that planted tank. BTW, you mentioned high tech. What are you using for CO2? I'm using a dual stage regulator with a Mix Master co2 reactor. Joe is using CO2; I'm not at present. What light are you using Joe? I had a 20 gallon plant only tank set up with CO2 and it was an endless source of frustration (even with no fish) so I tore it down. Low - moderate light of any sort (also any k value) is supposed to grow most plants well with ample CO2... I couldn't make my set up work though. Sitka suggested I try LEDs by Finnex... if my mother in law goes to Florida next month I may order one on Amazon and get it shipped to her. I still use the aquascaping tools you gave me years ago... they are slick. 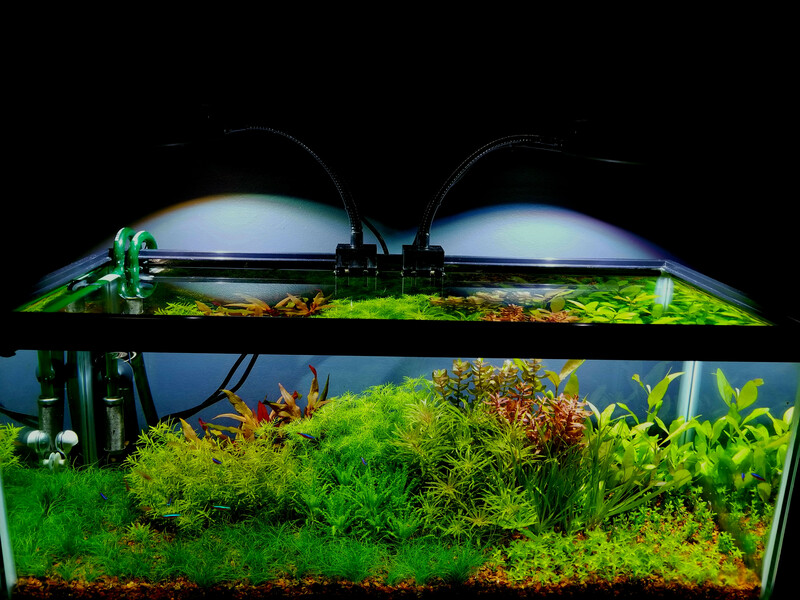 The 40g is using a pair of Kessil a80's and the 20g is using a single Asta 20. I'm a fan of single point light sources as I like the look of the shimmer and the deep shadows they produce. Makes the tank look very natural. Other then the price, I haven't noticed much difference in performance between the Kessils and the Asta. 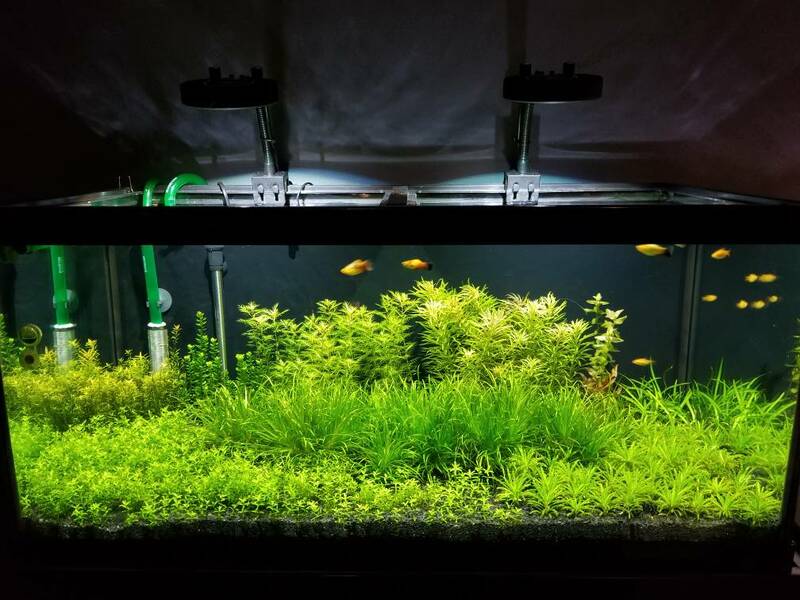 Good to hear you've had good use of those aquascaping tools. They sure can make life easier. Removed some of the stems on the left side as I decided to make the Pearl Weed carpet larger. Really like this plant. Also added a nice little school of rummy nose tetra's. Love it :) Always been a fan of Rummy Nose! Thanks for all the comments! The rummy nose school well and are fun to watch. I also really like the golden barbs which have lots of personality. That is beautiful tank . I have a small school of 7 Golden Barbs and 7 Odessa Barbs in one of my tanks, along with some Banded Rainbowfish. The colour contrast between the three species as they swim around is really nice. I've become quite a fan of all three species. Short video of the 40g taken tonight. Soon time for another trim.